New Zealand’s housing market might be cooling but it’s in sync with global trends – unlike the Australian market’s dramatic decline, according to a major bank. Warnings that Auckland’s market could follow the downward plunge of Sydney and Melbourne’s markets continue, but ANZ chief economist Sharon Zollner says that the extent of the Lucky Country’s decline is unusual. In ANZ’s latest Property Focus, the bank’s economists compare recent developments in the housing markets of Australia, the US, the UK and Canada. Zollner says they found that global house markets – and prices - are looking synchronised in the current downswing. However, the behaviour of certain Australian markets has generated a lot of attention because they are particularly dramatic. This week CoreLogic downgraded their outlook for Australia’s housing market. It is now predicting values in Sydney and Melbourne will fall 18% to 20% from peak to trough. 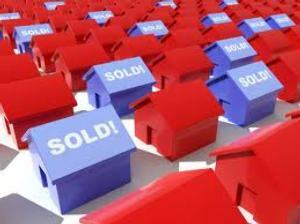 Most Australian property markets analysts expect the decline to continue although predictions on how much vary. AMP forecasts a 25% drop in Sydney and Melbourne and Credit Suisse picks a 25% price fall for Sydney, but National Australia Bank expects prices to drop 15% in Sydney and ¬Melbourne. Zollner says their data shows Australia’s housing market weakness is widespread, but most severe in Sydney, Melbourne and Perth, where prices are lower than they were a year ago. “Forward indicators for the Australian housing market such as the auction clearance rate suggest that weakness is likely to continue. Of the housing markets ANZ looks at in its comparison, Australia’s is the most correlated with New Zealand’s, with Sydney and Auckland house prices often moving together. But Zollner says correlation is not causation and the correlation reflects that drivers of the two markets – like interest rates, foreign investor demand and broader economic cycles – have tended to move together. “At the moment, the primary driver of the housing market weakness in Sydney and Melbourne is sharply reduced availability of mortgage credit, partly related to the Royal Banking Commission, and emerging oversupply in the apartment market. Going forward, most commentators expect the New Zealand market, and particularly Auckland’s market, to continue slowing but they don’t anticipate price falls similar to that being seen in Australia. CoreLogic head of research Nick Goodall says their expectation is that the 2019 property market will see much of the same as 2018. However, while values nationwide are generally rising, they do remain sluggish in Auckland and Christchurch, he says.